Over the last few days I have been working on a number of different projects. 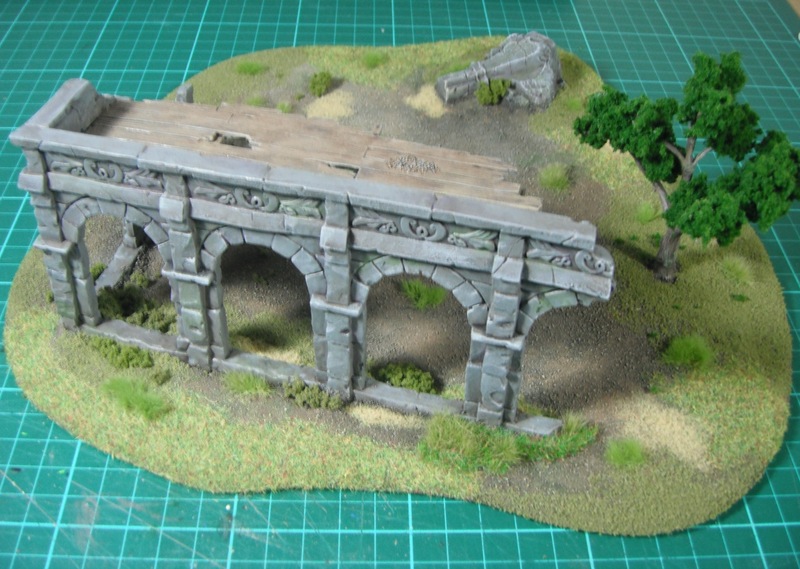 I have managed to get these ruins finished for Lord of the Rings and continued to work on my Dark Eldar. 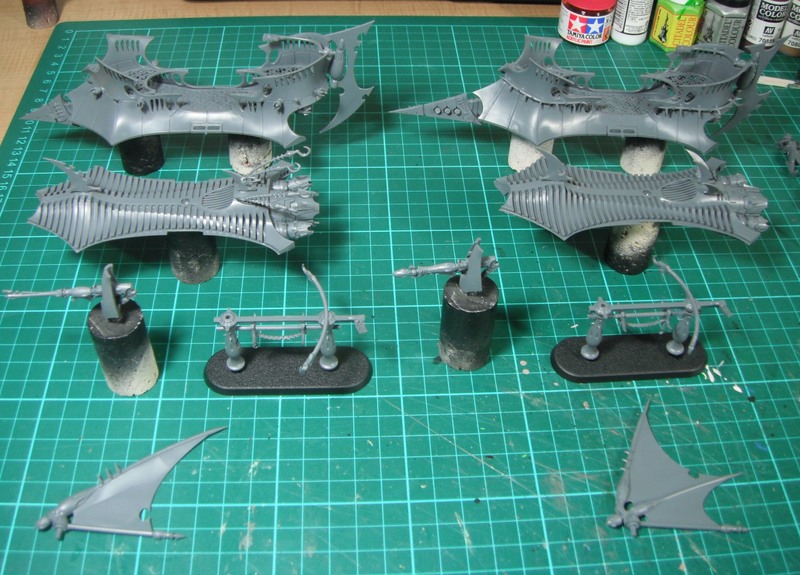 I had hoped to get more done with the Dark Eldar but the weather conspired against me at the weekend and a combination of high winds and rain meant that I was unable to prime my raiders for painting. Instead, I took the time to work on Space Hulk and started to paint up some genestealers which have been primed and sitting on a shelf looking at me accusingly for a number of months now. Below you can see my raiders in their various sub-assemblies. As I plan on airbrushing these I decided to keep them in a number of separate parts to make this easier. 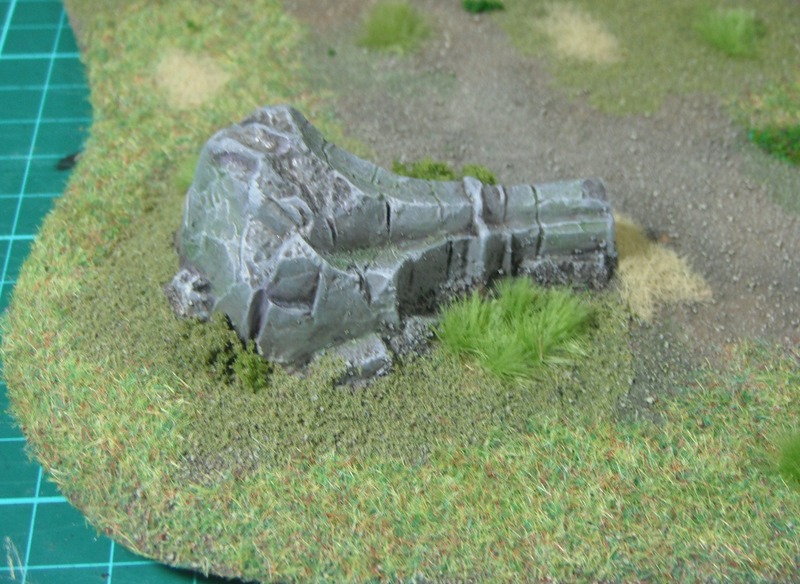 However, even if painting by hand it would make sense to paint them as sub-assemblies because of the number of fiddly components that would make certain areas hard to access with a brush. 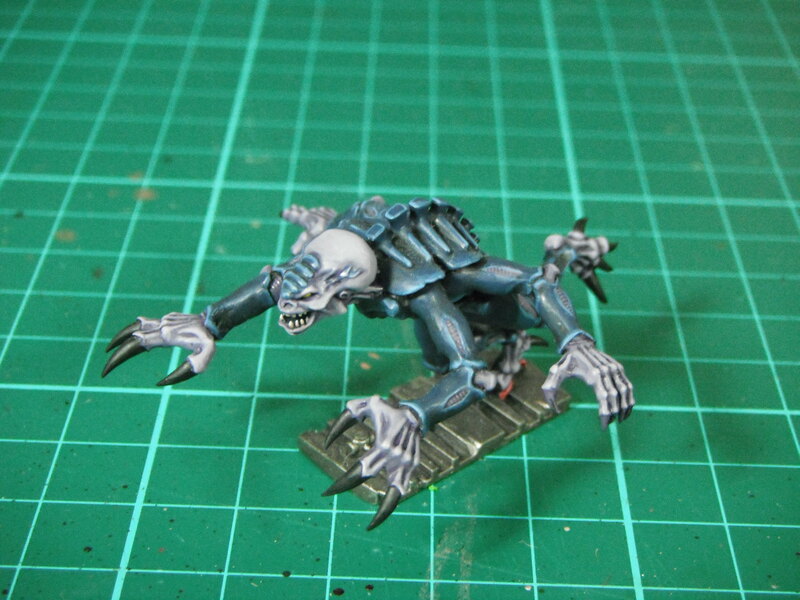 Here is my first genestealer which was completed a while back as a test model. 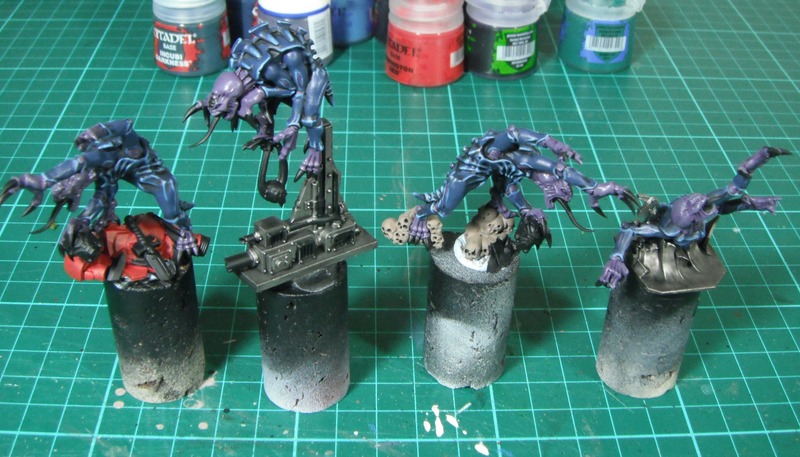 As you can see, I have gone with the traditional genestealer colours of blue and purple and tried to paint these in a dark moody style like those seen in White Dwarf. I have also tried to get a contrast in textures between the hard carapace and the softer skin by using sharp edge highlights on the carapace and subtle blending on the skin. And here are four of his mates who I was working on over the weekend. The raiders are going to have to wait until the weekend before I can airbrush them but hopefully I will get a chance to do a bit more work on these guys throughout the week.